You know, it’s quite easy to lose track your productive time, being engaged in the usual unproductive affairs of your business such as paperwork, spreadsheets and getting all the different pieces of software to actually work together. But this may leave little time for endeavors that are essential for the growth of your business such as product development, marketing strategies, customer service etc. Now this is where Odoo can be your life boat. Odoo’s suite of more than 25 open source business apps is comprehensive, fully integrated and most importantly, easy to use. It easily creates a fully integrated professional website for your business and manages your relationships with customers. Also, it facilitates effective online marketing as well as secures online payments for ecommerce. 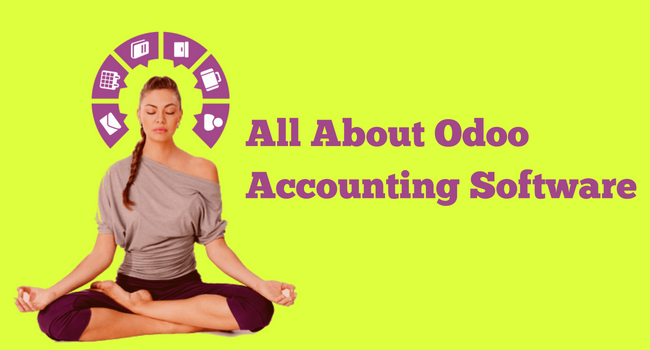 What is Odoo Accounting Software? Odoo’s accounting software specially is a class apart. It is capable of catering to businesses of any size. It is elegant, user-friendly and loaded with features. Let’s have a look what Odoo exactly does. Odoo accounting software allows companies to provide advanced solutions to their customers and helps them to gain productivity. Behind the scenes, Odoo apps help you with tasks like managing your warehouse invoicing and accounting. Moreover, it has apps for all your business needs and they all work together seamlessly. Let’s take an example of John, who has a successful hat store. John would like to attract more customers, so he decides to start selling his hats online. With Odoo CMS and ecommerce, John’s online shop is up and running in a few days. Thanks to Odoo, John can easily chat with website visitors, handle payments and manages deliveries. As orders pour in, John recruits more people and extends his product line. John decides to manage his customer relations, his stock, employees and even accounting through Odoo. Now, John can focus on growing his business rather than connecting various systems together. Similarly, in little to no time, you too will be able to run Odoo effortlessly. Seize the chance to simplify. 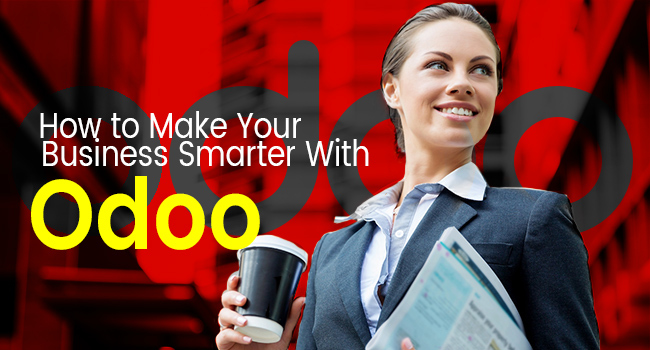 Join more than two million users from companies of all sizes, growing their business with Odoo. 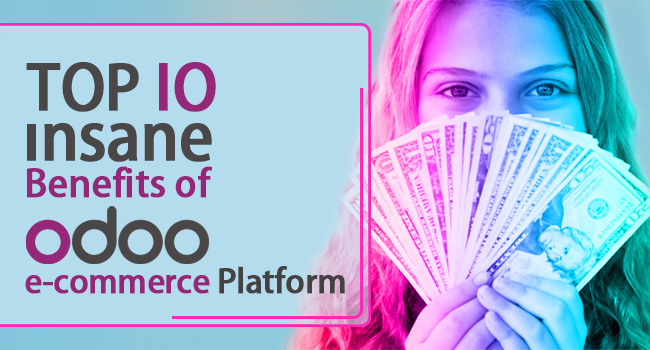 The largest organization using Odoo has 300,000 users and the smallest just one. It is a modern user interface based on Google material design trend and it works fast. It saves time as there is no need for creating invoices manually or printing and registering bank statement. This is automation software. Also, you can receive an instant access to all accounting features on tablets or phones no matter where you are. It facilitates you to reconcile a payment with various invoices using a button on the payment form. Moreover, you can get your bank statements automatically synced with your bank. You can also manage your entire business in one place. When you build an invoice, it suggests outstanding payments automatically so that you don’t have to reconcile it later. Odoo supports multiple advanced payments for cash discounts, partial reconciliation, and advance invoice. The invoices are beautiful, full-featured and extremely easy to create. It also creates draft invoices automatically that are connected with delivery orders, sales order, and timesheets. In order to make your credit collection easy, Odoo proposes tasks, follow-up letters and emails spontaneously. Supporting your online payment with credit card facilitates you to get paid quickly. It provides customers with the facility of tracking their invoices, order status and payments through their portal. For understanding the use case of each customer, you can receive clear reports and navigate easily. It gives a clear forecast of your future expenses. It also controls supplier’s bills by simply registering on the forum to post questions and answers. A record is maintained that contains all the information of employee to the validation and reimbursements. This record is helpful to track the expenses of the employee. Within a few clicks, you can receive a proposition of supplier bills to pay and print checks. You can keep track of deposit tickets to make you bank reconciliation easy. Odoo supports your own payments flows with optional validation steps. It also automates wire transfers to pay at the right date. Create Chart of Accounts Accounting >> Accounts >> Accounts >> Create only check “Allow Reconciliation” option for Payable and Receivable accounts. Like Notes Payable, Accounts Receivable. >>> Construct Chart of Accounts according to the list Internal Type (IT): IT is how the system identifies the certain Account Type (AT): AT is how the user desires to describe a particular account in the financial statement. AT can be created in the system but cannot configure IT anymore. Your Company Name is the name of your company defines during company creation. The code consists with parent account code. Fiscal year define Things to Mind >> Create Chart of Accounts >> In Odoo there are some mapping journals with same debit and credit account. These are called mapping journal. For example sales journal, purchase journal, cash journal. These tasks should be done coherently because each one is dependent on the preceded one. Define Journals as they are a basic requirement for the ERP Without configuring these, we cannot proceed to any other module in Odoo. 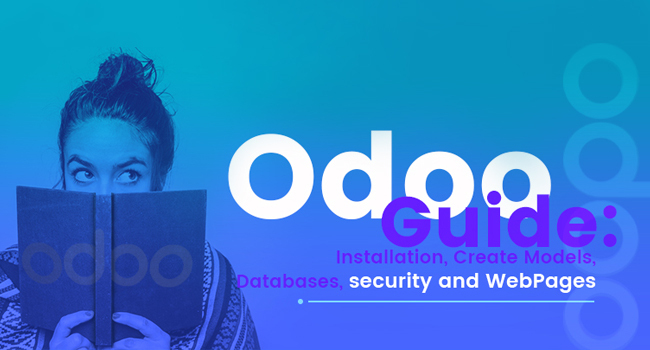 Considering Odoo as open source software, you can download the full program from the Odoo website and install it locally on your own computer. Thus, it is the best way of discovering Odoo software. Even though basic software of Odoo is free to download, you need the expertise of a web development team to mould it into a perfect solution for your business.